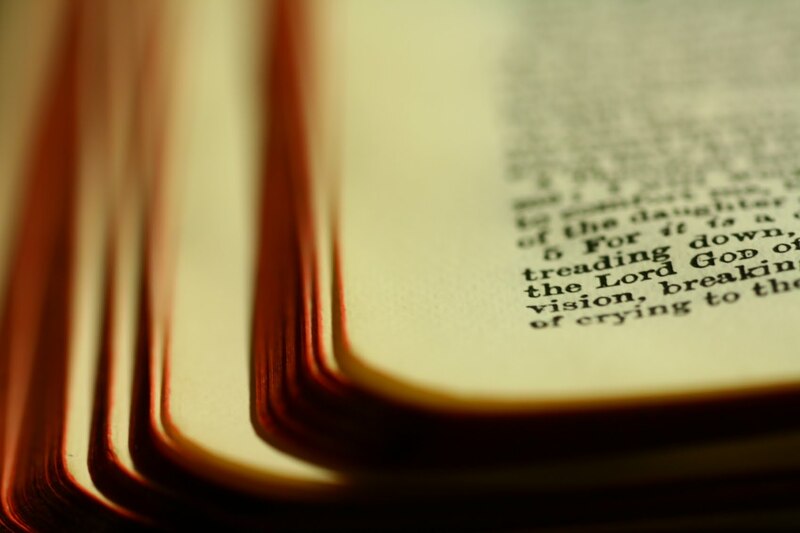 Section 1 - The Word of God We believe the Bible is the divinely inspired Word of God in its entirety, written by men as they were moved by the Holy Spirit and that it is the sole authority for the Christian's faith and conduct. We believe that the King James Version of the Bible, (KJV), is the preserved Word of God for the English-speaking people of the world. Section 2 - The Godhead We believe in one God, eternally existing in three persons: The Father, Son, and Holy Spirit. We believe that they are equal in every divine perfection, and executing distinct but harmonious offices in the great work of redemption. Section 3 - God the Son We believe that Jesus Christ was conceived of the Holy spirit and born of Mary, a virgin, in order that He might reveal God and redeem sinful men; that He is both the Son of God and God, the Son. Section 4 - God the Holy Spirit We believe that the Holy spirit is a divine person, equal with God the Father and God the Son, and of the same nature. It is He who convicts of sin, of righteousness and of judgment. He is the Restrainer of the Evil One until God's purpose is fulfilled. He bears witness to the truth of the Gospel and is the Agent in the new birth, baptizing all true believers into the body of Christ. Section 5 - Man We believe that man was created in the image and after the likeness of God, but by voluntary transgression fell from his sinless and happy estate. The consequences of which, all mankind are now sinners not by constraint, but by choice; and therefore, under the just condemnation of God, without excuse or defense. Section 6 - Atonement We believe that the Lord Jesus Christ died for our sins according to the Scriptures as a representative and substitutionary sacrifice, and that all who believe in Him are justified on the grounds of His shed blood. Section 7 - Salvation We believe that the salvation of sinners is wholly of grace through faith and that Jesus Christ is the only way of salvation. We believe that the blessings of salvation are made free by the Gospel, that nothing prevents the salvation of the greatest sinner but his own inherent depravity and voluntary rejection of the Gospel. Section 8 - Security We believe that those who receive Jesus Christ as Saviour are eternally secure. Our security rests in the finished work of Jesus Christ, and that all the redeemed are kept by God's power and are thus secure in Christ forever. Section 9 - Christ’s Resurrection We believe in the resurrection of the crucified body of our lord Jesus Christ, in His ascension into Heaven and in His present life there as High Priest and advocate. Section 10 - Second Coming We believe in "that blessed hope"- the personal, premillennial, pre-tribulational, and imminent return of our Lord and Savior Jesus Christ, when the church will be "gathered together unto him." Section 11 - Israel We believe in the literal fulfillment of the prophesies and promises of the Scriptures which foretell and assure the future regeneration and restoration of Israel as a nation. Section 12 - Bodily Resurrection We believe in the bodily resurrection of the just and the unjust, the everlasting blessedness of the saved and the everlasting punishment of the lost. Section 13 - Scriptural ordinances We believe that the Scriptural ordinances of the church are Baptism by immersion and the Lord's Supper, and are to be administered to believers only as a symbol of their belief in the death, burial, and resurrection of our Lord and Savior, Jesus Christ; and as a testimony to the world of that belief and of their death, burial and resurrection with Him; and that the Lord's Supper should be partaken of by believers only to show forth His death, "till He come." Section 14 - The Church We believe that the visible church is a congregation of born-again, baptized believers, practicing the New Testament principles, believing its doctrines, observing its ordinances and exercising its autonomy. We believe that it is the responsibility of the local church to propagate the Gospel to the world. Every church and Christian should have a part in this ministry. Section 15 - Present trends in Doctrine and Practice We take a stand against any trends in doctrine and practice, which lead, to discrediting the Bible and undermining the fundamentals of the faith. Ecumenical Movement - The attempt to unite the different faiths today on the basis of the least common denominator of doctrine is a betrayal of the true unity of believers based upon sound doctrine of the historical Christian faith. Its dialogue with other religions is dialectic. Its method of operation is subversive and shows a tendency of totalitarianism. Its concept of an ecclesiastical kingdom is not supported by Scripture. We reject all cooperation with this movement. The Tongues Movement - We believe that the gift of tongues was given as a sign to Israel and like the gifts of Apostleship and prophecy, which were for the founding of the church, (Ephesians 2:20; I Cor. 14:21, 22), and is therefore not being given today. While we recognize that God may give any gift to the Church at any time, we believe that the current resurgence of the practice of the tongues that is not scripturally regulated and which is usually divisive is not the Scriptural gift of tongues. We, therefore, urge that members of the Mission base their experiences on the written Word of God, seek to use the more important gifts (I Cor. 12:28), and cultivate Christ-likeness, (Galatians 5:22- 23), none of which requires the use of genuine or spurious tongues. ROMA will not accept, or tolerate, a staff member or missionary who practices or encourages the practice of speaking in tongues.